I used Cornwall Oven Cleaning for my pre-Christmas oven clean. I am utterly and totally satisfied with how lovely my oven looks now. It sparkles and the operative was polite and got down to work quickly. Very impressed with this company and will definitely use them again in the future. I just wanted to thank you for fitting me in at short notice. Matt did such a brilliant job; it really was like having a brand new oven. I was really pleased to leave it for my buyers, but wondered why I hadn’t done it ages ago for myself! Thanks for doing a great job yesterday. Wife really chuffed with the oven. First class job. Cornwall Oven Cleaning is AMAZING!! My old oven has been restored beyond my wildest hopes. I have just had our double oven cleaned (as a birthday present for my cooking obsessed husband!) and I am over the moon with the results. You did a brilliant job and the service I have received is excellent. Wouldn’t hesitate to recommend you. I can’t wait to see my husband’s face! Thank you so much. I was amazed at how clean my oven was after Cornwall Oven Cleaning left, I really didn’t think it would look that clean again. Just wanted to thank you again for the excellent job you did yesterday, looks as good as new! I was amazed at the speed, price, and over all quality of the work, I will be recommending this great company to anyone with a dirty oven! We called Phil from Cornwall Oven Cleaning at short notice, extremely helpful efficient professional service for excellent price, and oven now looks like new! Would definitely use again, and recommend. I would rate Cornwall Oven Cleaning’s service as 5 stars. You did a brilliant job and I would not hesitate to recommend you. Cornwall Oven Cleaning arrived early, worked for nearly 3 hours on my dirty oven and left leaving absolutely no sign that they had been other than a cooker that looked almost new again. I would recommend this service. 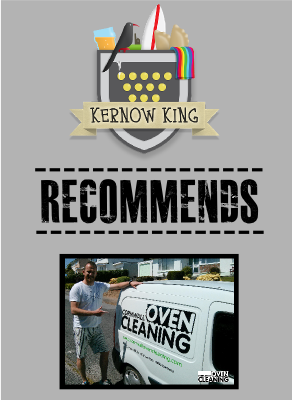 A lot of these testimonials are taken straight from comments received on our Facebook Page, click on the Facebook icon below or search ‘Cornwall Oven Cleaning’ in Facebook.